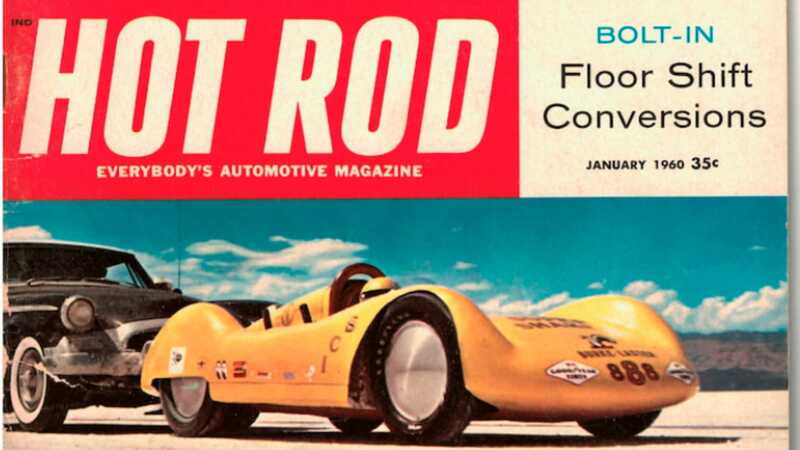 The purpose-built Streamliner made its one and only appearance at the Bonneville Speed Trails in the summer of 1959. 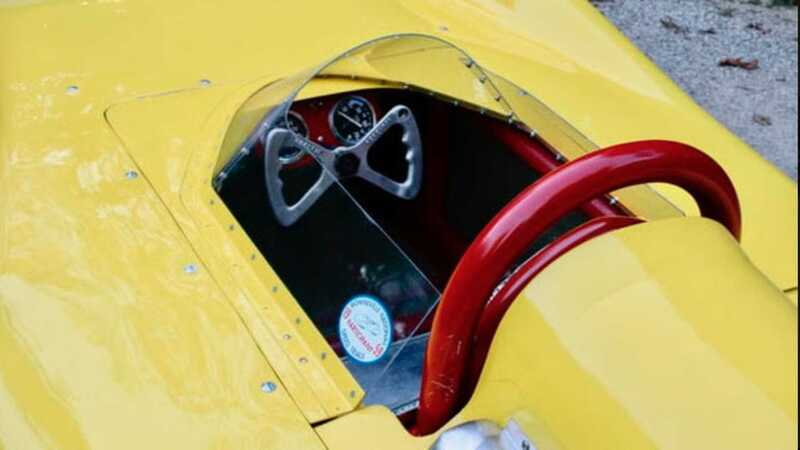 Bill Burke manned the vehicle for the single blast of racing at the event, and it’s passed through a few subsequent owners, before heading to Mecum to be auctioned off in March. Powering the small frame automobile is a bored and stroked Harley Davidson Knucklehead V-twin engine with a 74 cubic inch displacement. 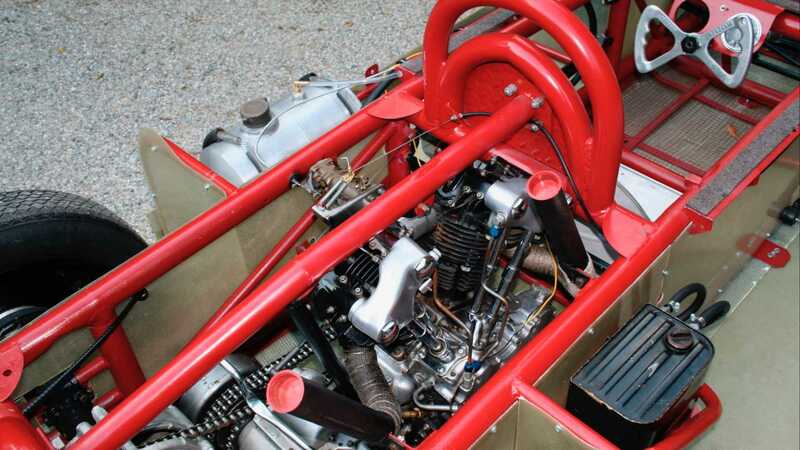 The engine is outfitted with reworked cylinder heads and a custom camshaft. 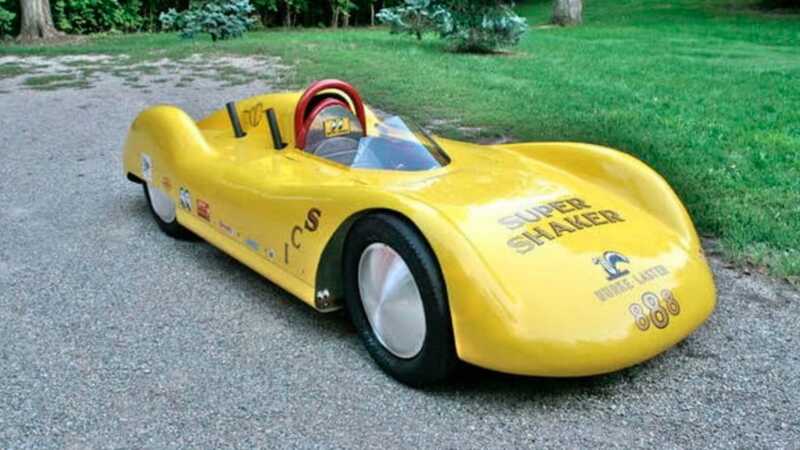 This Super Shaker is a common design from the legendary hot rodder - it was created with a lightweight, no-frills design to maximize speed and efficiency, but did have a little touch of flair. The ladder-type design chassis has two main longitudinal hoops of two-inch tubular steel and one-inch outrigger braces to mount the body and floor pan. This chassis design was also made to support the oil reservoir and gas tank, and a manual control tire pump that was adapted to keep fuel pressure high. The Streamliner rides on a standard Ford Anglia with split wishbones, traverse leaf spring, and center link steering. 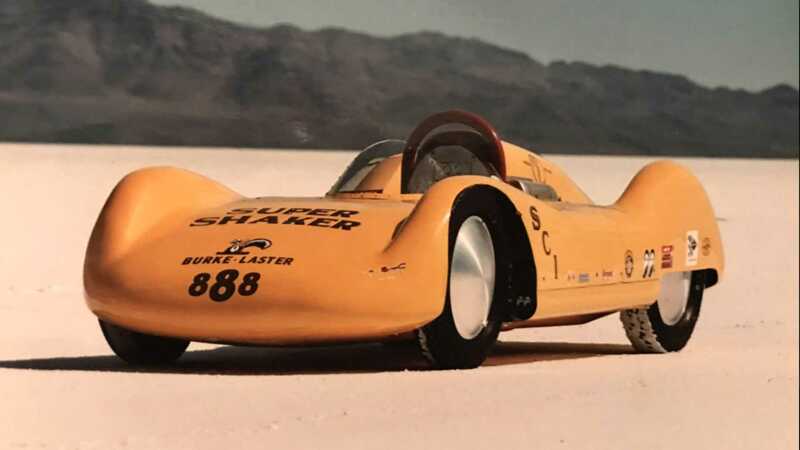 Distinct yellow livery featuring Burke’s number 888 and “Super Shaker” logo top off the build that was set aside by the racer after he focused on joining the 200 mph club. 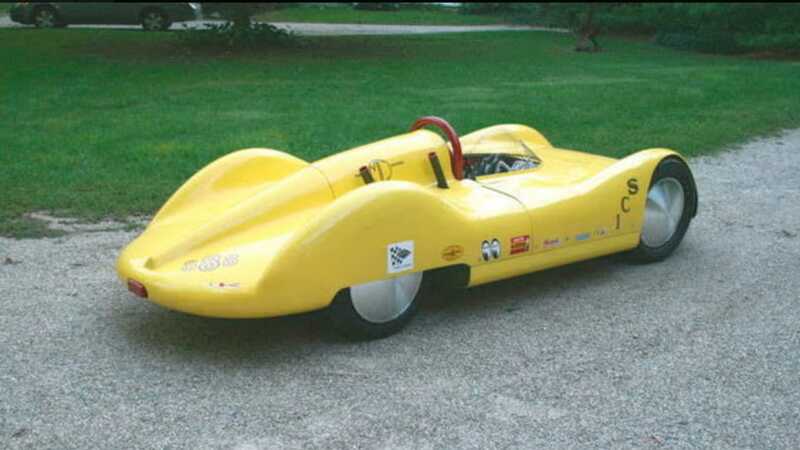 At one point, it was intended to be converted to a jet powered car, but it sat for a long time, until it was sold a few times in the early 2000s. After a restoration in 2008, it has been a part of a special exhibit at the Wally Parks NHRA Museum in Pomona, California.